U.S. Secretary of State Mike Pompeo will embark on an international visit to the United Arab Emirates (UAE) and several Western-allied countries following his visit to North Korea this week, during which he will reportedly work to further isolate Iran. 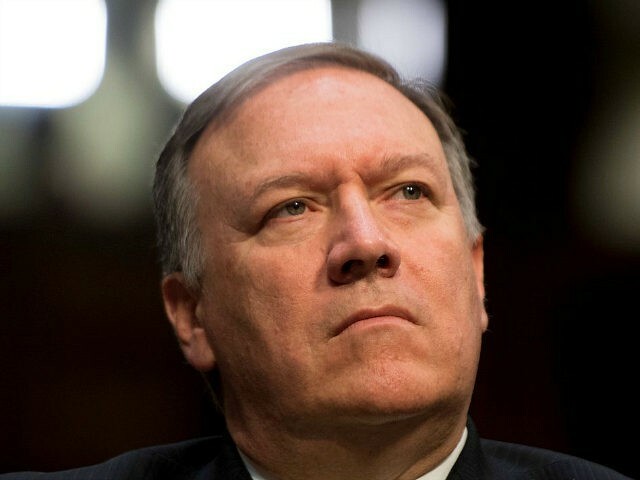 Pompeo’s travels were to begin on Thursday and extend to July 12. In addition to his trip to the UAE, Pompeo will reportedly travel to Pyongyang, Tokyo, Hanoi, and Brussels. Iran President Hassan Rouhani reportedly threatened on Tuesday that Iran would disrupt oil shipments from neighboring countries if Washington stands by its threat of sanctioning nations that fail to halt oil shipments from Iran by November 4, including China and India. On Wednesday, Rouhani threatened that Iran could reduce its cooperation with the International Atomic Energy Agency (IAEA), the United Nations’ nuclear watchdog, because of Trump’s oil sanctions. “Iran’s nuclear activities have always been for peaceful purposes, but it is Iran that would decide on its level of cooperation with the IAEA,” Rouhani said, according to Reuters. “The responsibility for the change of Iran’s cooperation level with the IAEA falls on those who have created this new situation,” he said, referring to the Trump administration.